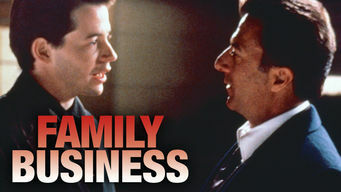 How to watch Family Business (1989) on Netflix Argentina! Yes, Family Business is now available on Argentine Netflix. It arrived for online streaming on October 7, 2017. We'll keep checking Netflix Argentina for Family Business, and this page will be updated with any changes. Looking to net $1 million by pinching some biological research vials from a lab, Adam recruits his father and grandfather to help with the heist. Three generations of men, all working in the family business: crime. And business is in for a big change.